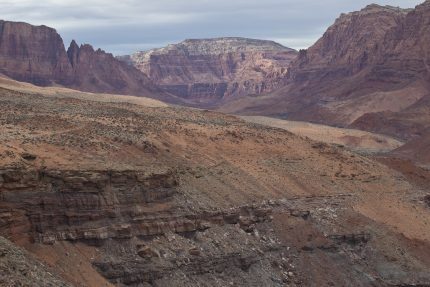 When Colorado hiker Randy Langstraat came across a piece of pottery on a popular trail in the Arizona Strip desert just across the state line from St. George, Utah, he reacted in an ideal fashion: he left it exactly where he found it, concealing it so it wasn’t in view of less scrupulous people, and called the Bureau of Land Management. 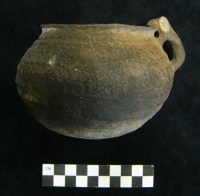 Langstraat described the exact location of the pot to BLM Arizona Strip archaeologist Sarah Page. In February, Page used that description to find the pot, still buried where Langstraat had left it. Nobody had interfered with it and it had suffered no damage. 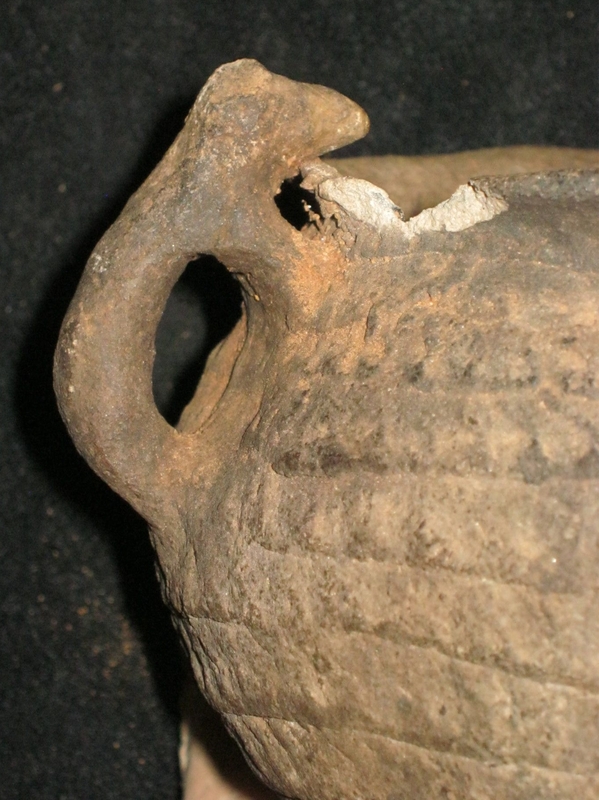 Except for a piece broken off the handle, likely in the distant past, the pot is intact. After locating the intact pot, Page began a full documentation process of the site and, along with another agency archaeologist, conducted an intensive archaeological survey to determine if additional artifacts were present. No other artifacts were present and the archaeologists believe the pot was left in the location by the pot’s creator with the intent to collect it later. However, the person never recovered it. A detailed analysis was conducted by archaeologist David Van Alfen who determined the pot to be North Creek Corrugated, which dates to the Late Pueblo II period (AD 1050-1250) of the Virgin Branch of the Ancestral Puebloan culture. 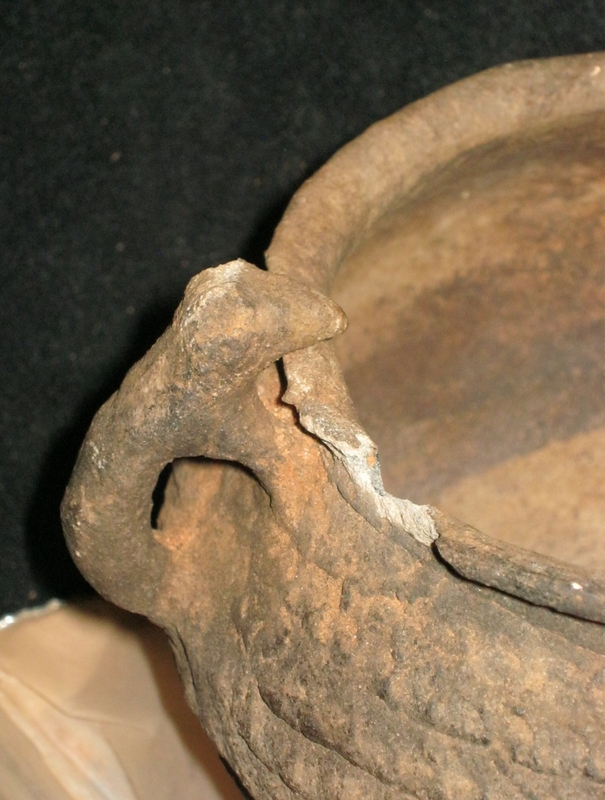 The effigy handle appears to be that of an animal, possibly a deer or bighorn sheep. However, the ears or horns have been broken off making it difficult to determine precisely. Precious resources like the prehistoric North Creek Corrugated pot aid scientists in their study of earlier occupants. In addition, losses of these resources deny present and future generations the ability to enjoy the privilege of learning from and observing the site in its original state. BLM Arizona manages some of the most significant and best-preserved prehistoric and historic archaeological sites in the American Southwest that are important to our understanding of both recorded history and prehistory. It is illegal to remove or damage artifacts found on BLM land, but with 245 million acres of territory and more than 150,000 cultural heritage sites to cover, its law enforcement program couldn’t possibly prevent the loss of archaeological significant material like the North Creek Corrugated pot without the cooperation of good citizens like Randy Langstraat. This entry was posted on Tuesday, May 8th, 2018 at 9:08 PM	and is filed under Ancient. You can follow any responses to this entry through the RSS 2.0 feed. You can skip to the end and leave a response. Pinging is currently not allowed. How do we know that it was the pot’s creator and not some other pot user that left it there? Since it was found on a popular trail, it just goes to show how difficult it is to see these things. Taking into account that there is seemingly not a single bush out there in the Vermilion Cliffs, the invention of the ‘Pueblo period potty’ was certainly a relief.